Watkins Books, a London bookshop specialising in mind, body and spirit, has released Fenopalm, the world’s first interactive video palm reading iPhoe app powered by a social network. As well as scanning the user’s hand, Fenopalm takes a look at the user’s Facebook data on social and work life, relationships and friendships. 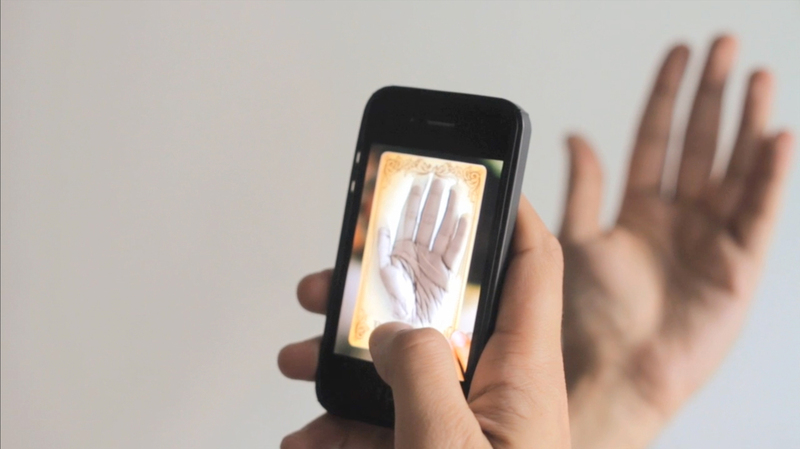 The outcome of the analysis is a bespoke interactive video featuring renowned palm reader Swami Krishna. The app, online at fenopalm.com, will also recommend books and events based on a user’s profile. The Fenopalm iPhone app was developed at JWT London by executive creative director Russell Ramsey, digital executive creative director Ricardo Figueira, head of innovation lab Miguel Andrés-Clavera, creatives Miguel Andrés-Clavera and Bruno Xavier, copywriter Kell Lunam-Cowan, project manager Joseph Bassary. Filming was produced at Your Mom. Digital post production was done at Pixel Kitchen.